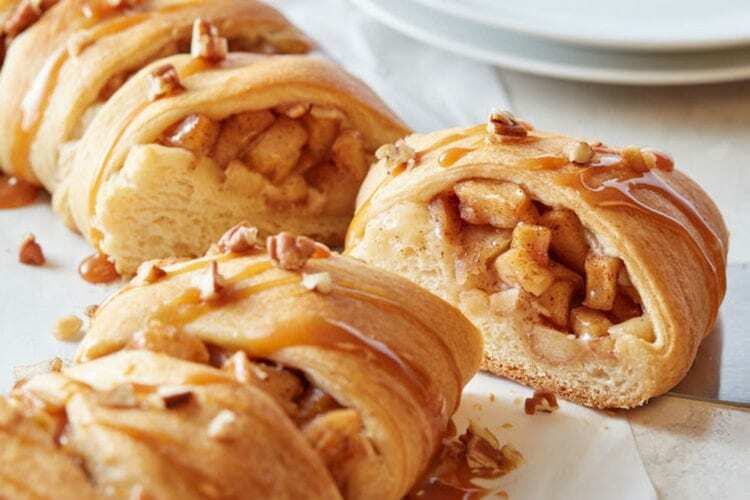 You’re going to want to stock up on Pillsbury Crescent Roll dough this season. 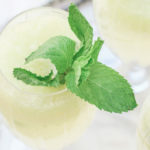 With all of the holiday parties and family get-togethers this season, you’re going to be spending quite a lot of time in the kitchen if you don’t have an arsenal of recipes that are easy to throw together. 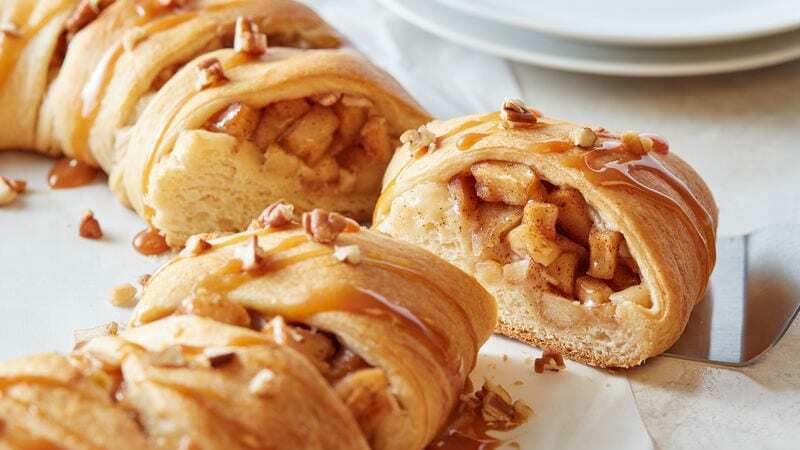 And considering this caramel-apple cream cheese crescent ring makes a great breakfast, brunch or dessert option, you’re going to want to make quite a few of these to make it through the holidays. 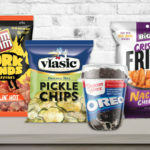 The recipe’s laid out on the Pillsbury website, and it’s super easy to follow. 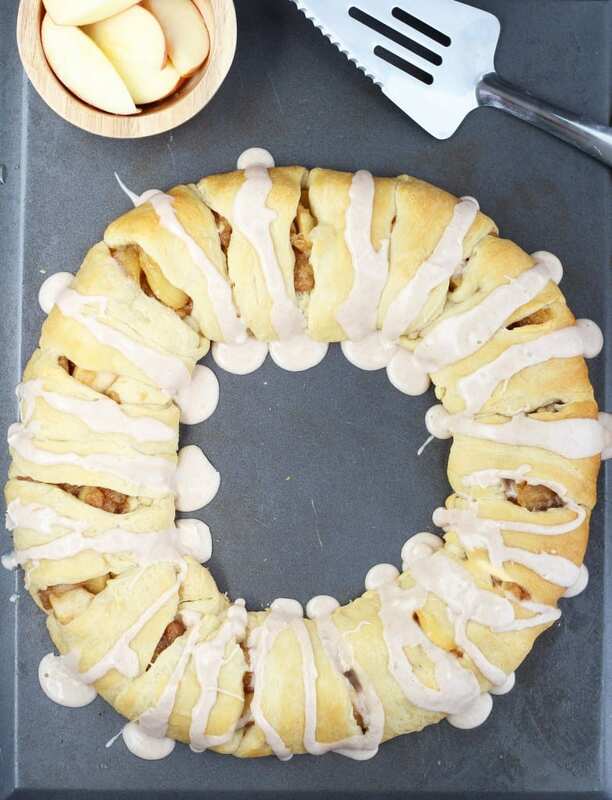 Once you’ve got your Crescent Roll dough, you’ll also need to grab apple, brown sugar, cinnamon and cream cheese to complete the recipe. 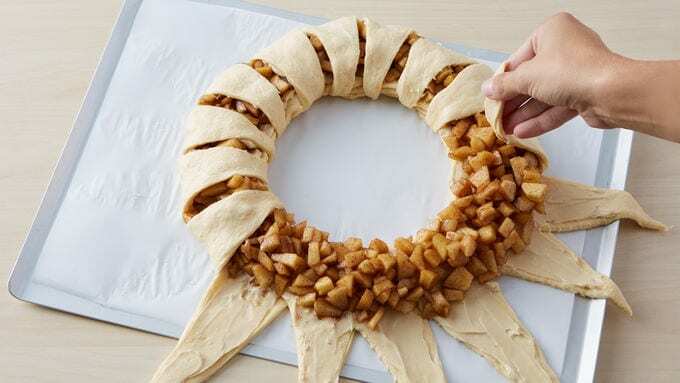 Then, spread the cream cheese and brown sugar mixture along each piece of dough, place the apples along the edge of the circle and fold the triangles to cover the apples. 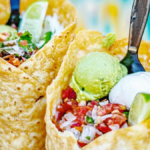 This isn’t the only dessert you can easily whip up using Crescent Roll dough, either. 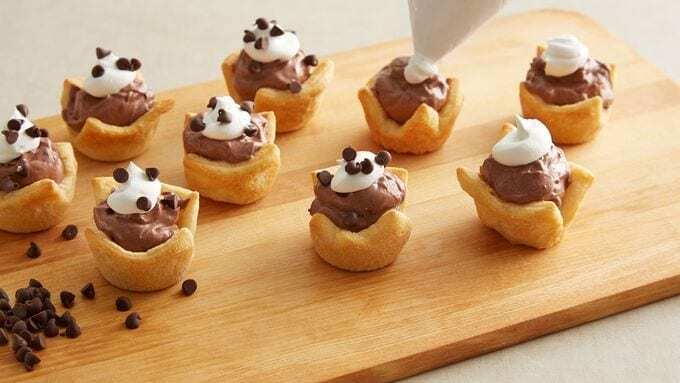 You can also use the dough to make the most adorable mini French silk pies that are the best bite-sized treat for parties via the recipe from Pillsbury. 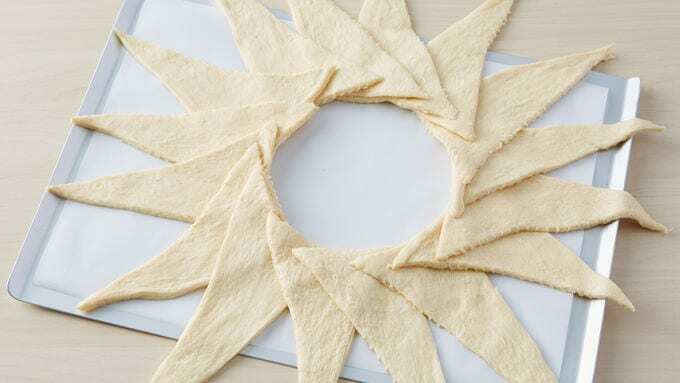 These Crescent Rolls can also be used to create savory appetizer options, or you know, be used as they were originally intended and served as a roll to go along with your dinner. 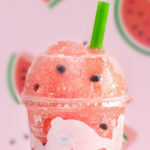 So, make sure your fridge is stocked and enjoy! The cast of 'National Lampoon's Christmas Vacation'—Where are they now?